The times we live in require the need to be a Consumer Advocate almost all the time. When you have to spend hours dealing with a company to constantly resolve issues, you need to take action. 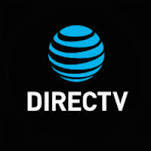 Today's rant has to do with Directv. In the past 2 years, I have had one issue after another all because the information I am given is always misleading. I am not sure if there is an actual lack of understanding on the part of the reps or that the reps are just not trained well enough to actually offer a solution to your issue. Or, and let's hope not, they do all this on purpose. You may be asking why I would continue to work with a company that causes so much aggravation. The answer is that there are few alternatives where my service is located. My challenge is to make the best of a bad situation. What I had just experienced these past two weeks will make your head spin. I cannot understand how you are told one thing from one rep and the opposite from a different rep and then a third rep tells you that what the first rep said was correct, followed by a fourth rep telling you that it wasn't. Confused, frustrated? Yes! I have taken to social media as my last resort. Whomever is out there responding is much better informed than anyone you speak with on the phone. They want to resolve your issue so that you don't keep Tweeting the negative. What I managed to accomplish via Twitter Direct Message, that is after sending a general Tweet, was an appointment set up, as well as service, equipment and invoice explanations. It was much easier than making that phone call and batting zero. Do you like to hear that your call may be recorded or is being recorded to help improve their service? Let me know when they actually put that logic to work. It begs the question: do companies like Directv believe that many people don't ask enough questions and accept most of what they are told? The take-away from this is to make your life less stressful when trying to resolve a problem with a company. Dealing with the social media segment of a brand may be the best solution if you don't get your issue resolved by making that call. I would send a tweet to the specific company first to see if they respond. Hopefully their response will be to ask you to send a Direct Message to them and that will be the start of a productive outcome. For me, this is one of the best reasons for using Twitter.